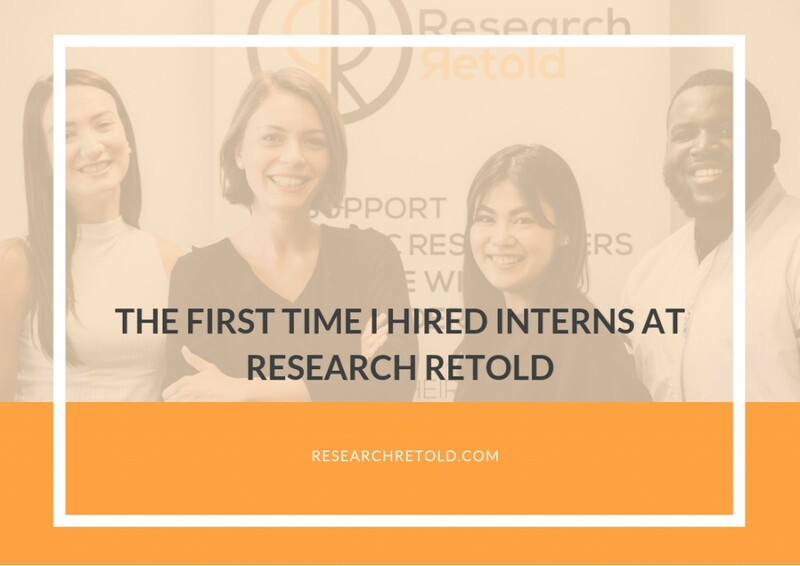 In this blog post, I share my insights into the first time I hired interns at Research Retold, and the roles they currently have on our team. 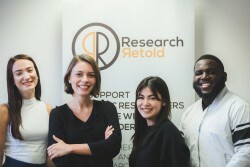 Why hire interns at Research Retold and why now? I think it is important to explain how I reached this point in my career. What started as a mere idea in my head back in 2016, came to fruition just over a year later. November 2017 saw the official creation of Research Retold and it’s been a whirlwind ever since. 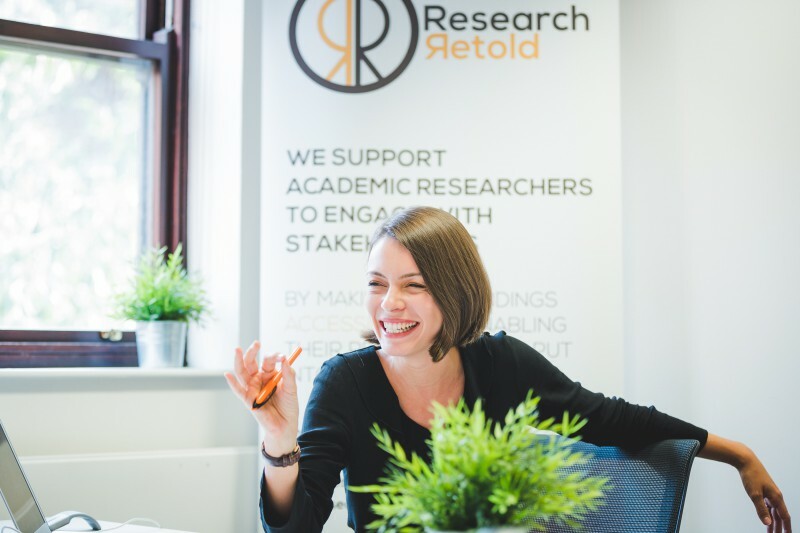 At Research Retold, we pride ourselves in our ability to provide a reliable, collaborative and transparent research communication service to researchers. I constantly engage with our clients to ensure that we provide a service tailored to their needs. With the growth of the company, the opportunity to slowly expand was presented to me. It was easy to look back at my own time at university and realise how great it was that I gained work experience alongside my studies. I worked at the University of Sheffield enterprise as an undergraduate and at the Visual Social Media Lab during my MSc. Hiring interns at Research Retold gives me the ability to enhance my own management skills. I was happy to collaborate with Lynn Pattison from the University of Leeds Business School. I advertised the internship to students on the Corporate Communications, Marketing and Public Relations Masters course. I also advertised the opportunity on Indeed. So let me introduce you to our interns! Anca’s role with Research Retold involves writing blog posts and keeping on top of news in our industry. She is not afraid to reach out to new people and ask for their input, and she has been a go-getter from day one. “I’m an International Journalism postgraduate at the University of Leeds. Born and raised in Romania, I came to the UK three years ago to become a Media and Communication student at the same university. I consider myself a news-savvy person, ready to investigate and explore the most in-depth issues of our society. I have previously worked in globally diverse newsrooms, where I enjoyed the dynamic atmosphere created around the ‘breaking news’ idea. I found the same energetic vibe in the Research Retold office where the excitement and the ongoing work combine really well. Stephen’s role at Research Retold centres around our social media strategy and the content direction for our online platforms. Stephen explores the ins and outs of Linkedin and Twitter, with a keen eye to detail and analytics. 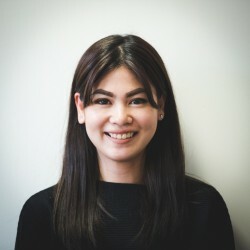 “I am a postgraduate student at Leeds University Business School reading Corporate Communications, Marketing and Public Relations. 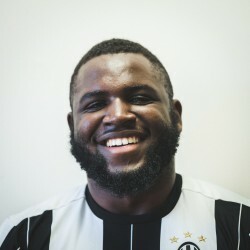 Originally from the Democratic Republic of Congo, I moved to the United Kingdom at a young age. After obtaining a degree in History and Politics from the University of Westminster, I developed an interest in analytics and regularly use them to enhance my understanding of social media engagement. 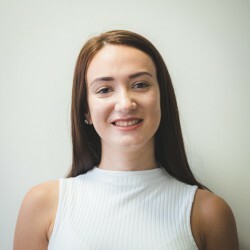 I am hoping my knowledge and understanding of different social media platforms, coupled with my experience of working in several global organisations, will help me achieve great things during my internship at Research Retold. Isabel brought to life the notion of a ‘content calendar’ and immediately got involved in developing content for our social media channels. She has been key in the organisation of our one-year anniversary, with a lot of care and detail. “I came to the UK to pursue further studies at Leeds University Business School. Currently, I am an international postgraduate student under the Corporate Communications, Marketing, and Public Relations programme. I left my full-time job in one of the Philippines’ largest companies in search of a new challenge that would broaden my horizons and satisfy my thirst for knowledge. After gaining three years’ work experience in corporate events management and integrated marketing communications, I am looking forward to learning the ins and outs of a business here in the UK. I am very excited to be working with collaborative and creative minds here at Research Retold! If you want to know more about the recruitment process I went through to hire these amazing interns at Research Retold, feel free to reach out via our contact form! Happy to chat with any entrepreneurs looking to get some hands on deck and share my experience.